Although a ballet performance often features a large cast of dancers, colourful costumes, and dramatic music, the scenes that capture my imagination most are those where a solitary dancer or small group is isolated in the spotlight. No distractions. No fanfare. Just the form, movement, and expression of the dancers bringing the story to life. Sometimes the drama and passion can be felt most strongly in these moments. This was an effect that I was keen to replicate in the photography studio, shooting with a plain background and one or two simple props. And, as I was well aware of how much hard work and dedication underpins every ballet production, it seemed appropriate to design a shoot around the theme of a dancer’s practice session. 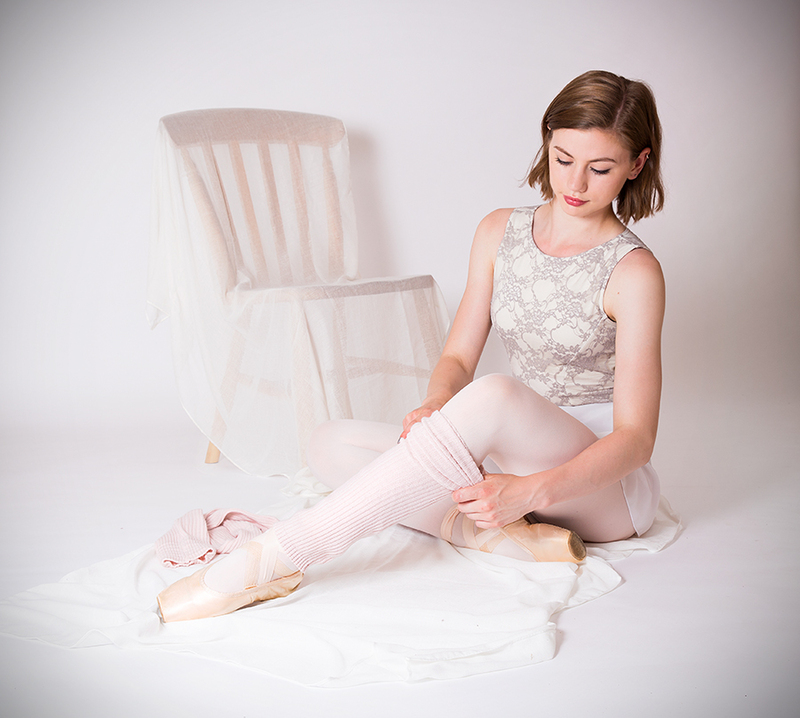 I am grateful to Isobel Smith, one of the lead dancers from the Cambridge University Ballet Club, for taking a few hours away from post-exam celebrations to come to the CB1 studio to pose so beautifully for this sequence of images.